When you step inside L’Osteria di Giovanni you are welcomed into our main dining room. This is the largest dinning room, and at 11 am and 6pm you might spy the staff enjoying their meals at a huge single table – there are lots of us and we get hungry! 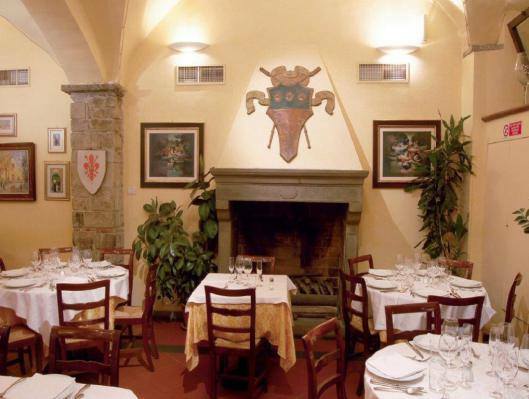 This room hosts a large original fireplace in pietra serena, the local stone. Directly beyond that is a second dining room with a large opening between the two allowing each a view of the other. Beyond that lie bathrooms with full wheelchair access. Our furniture is original old Florentine pieces, have a look. Much of the artwork has been giving to us over the years, mostly by local artists, and we love it. Look up at the ultra-modern lighting which superbly lights up the high ceilings and provides a softer light below where patrons enjoy their meals. To the right pass by the entrances to our two kitchens (one for cooking up great meals and the other for receiving the china, glass and cutlery afterwards) and you will step into our third dining room, complete with a full bar.A small and low corridor (duck if you are tall!) takes you behind into our fourth dining room. This one is more secluded and separate from the rest and is an ideal solution for larger groups that may enjoy a little privacy. And we haven’t finished yet. Behind the bar you might have noticed a red door. That takes you down into the cellar area, where we always keep 3/4 tables ready just in case we run out of space upstairs. But to our great suprise, now that people know about it, we receive requests to be seated in the cellar! 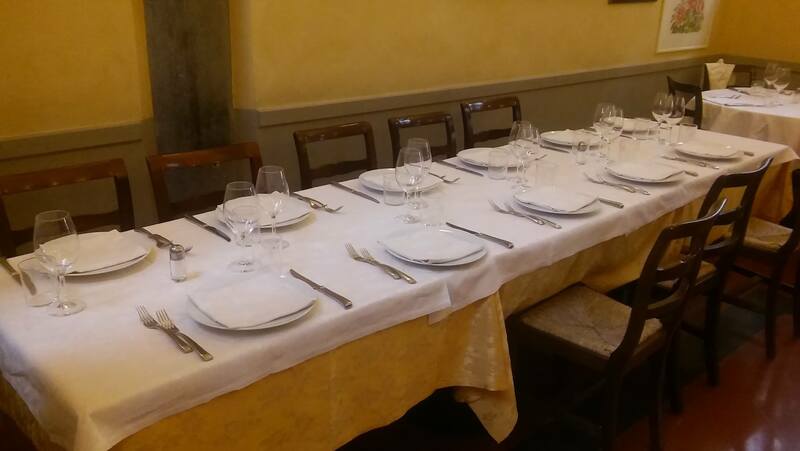 Wherever you sit, buon appetito!